I posted this on the AudioBus forum already, but in case some of you don't hang out there I'll repost it here. 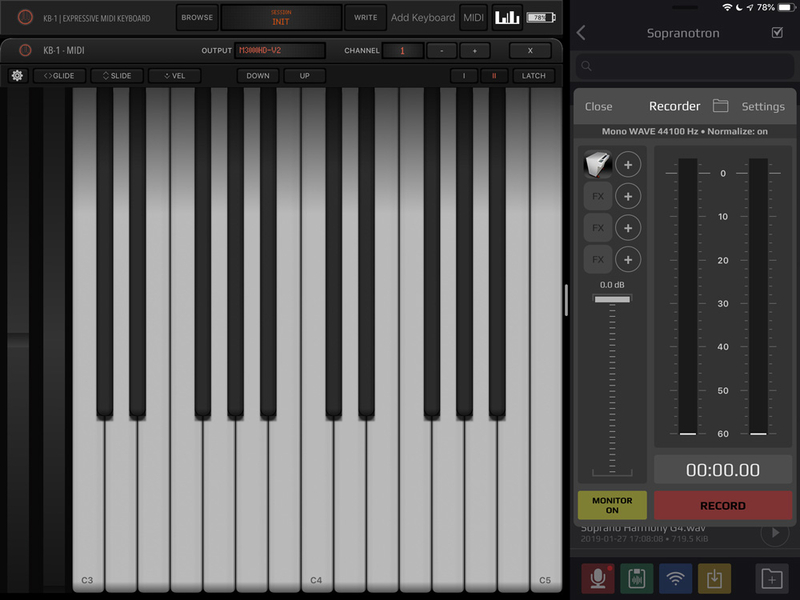 I wanted to sample Sopranotron so that I could use the sounds with an ADSR envelope in NS2 or BM3. I came up with this setup to speed up the process and I thought it might be worth sharing. Launch KB1, then bring up the iOS dock by swiping up, you can then add Audioshare as a split screen app on the right-hand side. Then open the Audioshare recorder, select an IAA app as the input, and connect KB1 to it as well. You can now sample and save everything without having to switch screens: just press record, hold a key, save and name the file and then rinse and repeat. So this combined with the split screen apps makes it very short work to sample a range of notes from a software instrument and correctly name the samples. 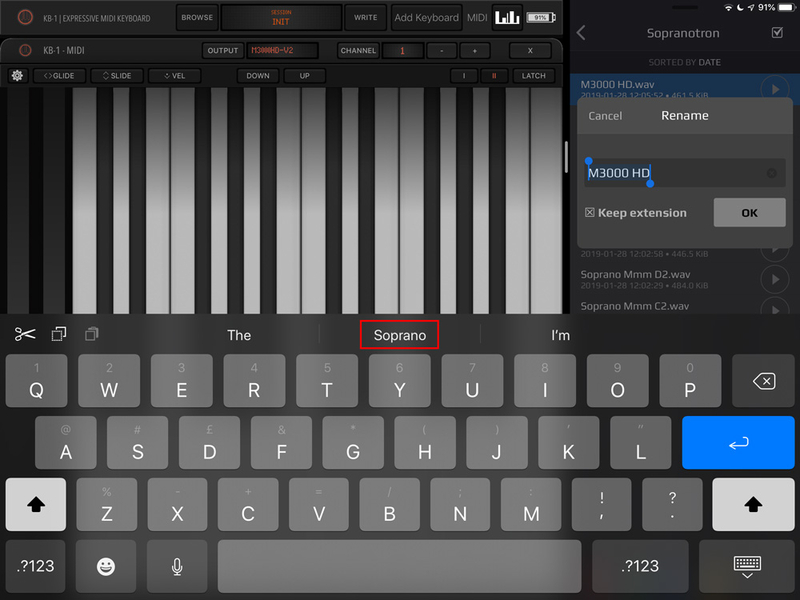 Once the notes are sampled and named accordingly, you can import the entire range of notes into Obsidian in one step by using the "automap samples" option. Nice tip @richardyot ! I’ll have to give that a try. Hey @dendy what is the minimum distance between samples? Octaves and minor thirds are common but for the last year I’ve been experimenting with one-wavetable-per-note (or one sample per note, in this case) to get zero aliasing and full spectrums across all notes. I remember something about a “zone limit” and can’t remember who mentioned it. Can NS2 handle having one sample per note (128 in total per oscillator patch) or is 64 the max? For larger sample based patches is probably better AudioLayer. Especially if you want combine many zones AND many velocity layers.